Watching the NCAA Tournament in Atlantic City has reached a whole new level. Unlike in previous years, NJ sports betting is legal. And so is March Madness betting. Sure enough, on Thursday, the opening day for the First Round of March Madness, grabbing a seat was easier said than done at AC sportsbooks. In fact, my visit to AC found that the sportsbooks not only were busy but also had been getting calls about March Madness months ago. Naturally, I hoped to see just what effect the Big Dance would have on the sportsbooks in Atlantic City and how sports betting fans were taking it all in. Visiting all eight sportsbooks seemed impossible in just a few short hours, so I made my way to four of them. 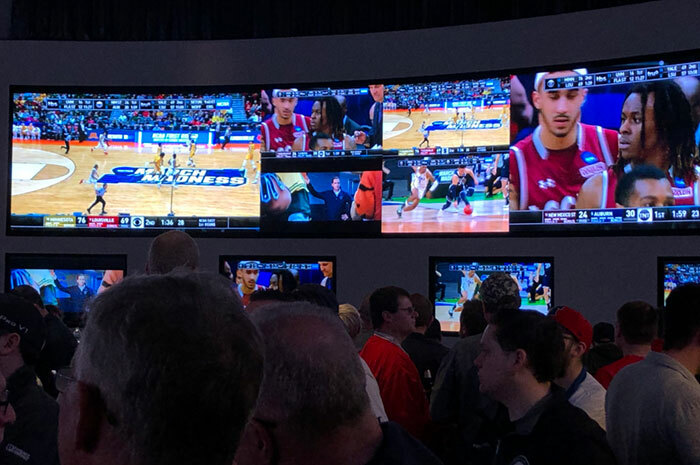 The William Hill Sports Book at Tropicana is the newest place for March Madness in Atlantic City, opening to customers just a few days before the tournament began. The 180 seats at Trop are the most in Atlantic City for now. Before noon and the first tip, customers were lining up to place bets. The place was crowded, but seats were still available in some areas. William Hill NJ reps were even on site helping customers download its NJ sports betting app. There were lines at the betting windows, and fans on their phones placing bets. Yes, betting via the mobile app is permitted at NJ sportsbooks. But for the first round, at least, the retail business was looking strong. Being that this was a March Madness trip, a status check was in order. So I made my way to Hard Rock AC. During a Super Bowl Sunday trip, the newly opened Hard Rock sportsbook left a lot to be desired. For March Madness, it’s still the same basic space with a few betting windows and no seats. 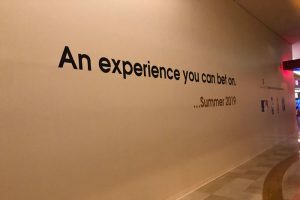 But the opening in the construction wall made it clear that something bigger and better was coming soon. But will it be before March Madness comes to an end? 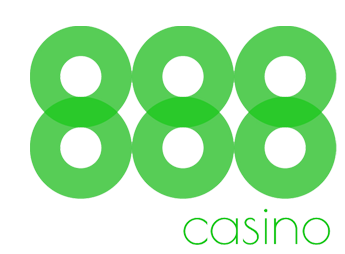 Property president Joe Lupo told NJ Gambling Sites earlier this month that end of March is the target. Until then, there wasn’t much to do here and no reason to stick around so it was back to the Boardwalk. 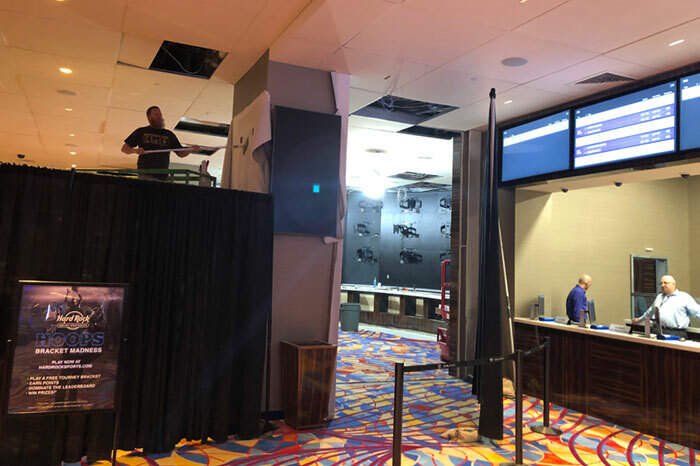 The DraftKings Sportsbook at Resorts opened for business at 10 a.m. on Thursday, but word is customers were ready to start betting before then. A group of four friends, two of them clearly supporters of the defending National Champion Villanova Wildcats, were staying at Hard Rock but decided to do their sports betting at Resorts. Mike Mattscherz had good reason to cheer on his Wildcats being a Nova grad. Heading into Thursday night’s game, taking his team minus the 4 points against St. Mary’s was looking like an attractive bet. St. Mary’s was one of the sleeper teams heading into the Big Dance, but he added, “I am very confident” hours before tip. His team did end up winning the 61-57, but the bet ended up being a wash.
Up next for No. 6 Villanova is Saturday’s second-round game against No. 3 Purdue. Another not so easy matchup. DraftKings had Nova as a 3.5 underdog as of Friday afternoon. Fellow fan Todd Wilson also was in town to root on the Blue and White. But in terms of who is going to win it all, he is going with the top overall No. 1 seed. “I think Duke is going to win it all. Zion [Williamson] is too much,” Wilson said. It seems whenever there is a major sporting event on the calendar, the sports betting crowd flocks to Ocean Resort Sportsbook. Claiming a seat inside the William Hill Sportsbook required arriving early. By early afternoon, even seats at the bar were hard to find. 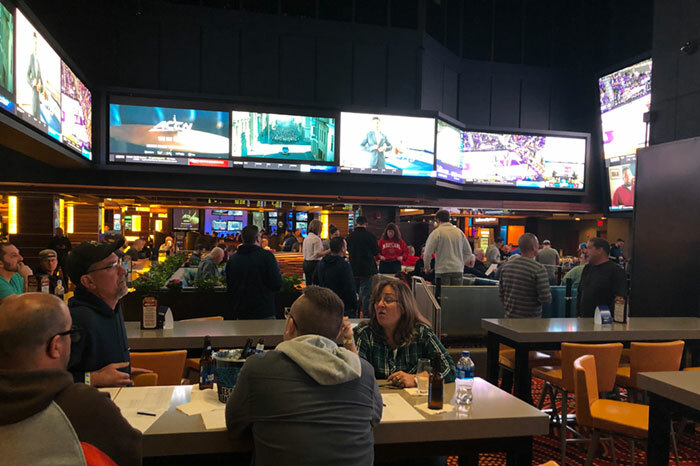 The Big Game-like vibe did not scare any fans away as wall-to-wall people filled just about every inch of the sportsbook — located in the center of the casino floor. The nearby soft pretzel and hot dog stand added a stadium-like vibe to this NJ sports betting scene. To be honest, I didn’t stay long. But it was clear the monstrous 7,500-square-foot sportsbook still reigned in Atlantic City. 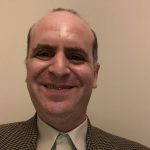 With a new book at Tropicana, and two others in the works at Borgata and Hard Rock, who knows if it can keep its spot at the top. One of the great things about March Madness betting being legal is there is no longer a need to catch a plane to Las Vegas to bet on college basketball games. Todd Mohing and his friends from Maryland decided to bypass the five-plus hour flight out west in favor of the much shorter car ride to Atlantic City. More specifically, the Borgata. With the Race & Sports Book filled to capacity downstairs, his group took full advantage of Brackets at Borgata. 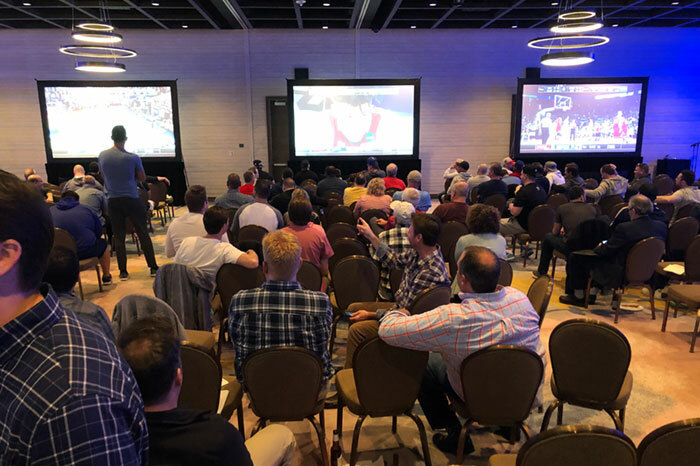 Well aware of the big crowd heading to town, Borgata converted the Central Conference Center into a temporary viewing and betting space for the duration of the NCAA Tournament. Four betting windows are included. 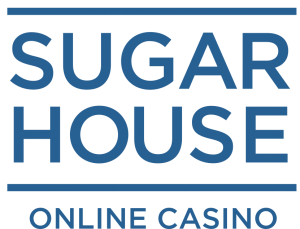 Borgata plans to open a brand-new $11 million sportsbook in the summer, so for now, this was the place to be. 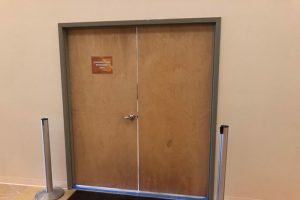 Borgata also likes to keep the details of that new sportsbook secret, judging by the closed construction doors and the tagline. Plenty of college basketball fans were on hand to watch the games in the temporary space though. It just so happens at this particular time of my trip that the No. 6 University of Maryland Terrapins were playing the No. 11 Belmont Bruins. Mohing, clearly supporting his home school, had his eyes glued to the screen. But his team was trailing 40-34 at halftime, something he was not exactly happy about. He did not take Maryland minus the 3 points, but his friends did. That turned out to be a smart call. Maryland did win the game, 79-77, but failed to cover the spread. It means the Terrapin fans in town get to root for their team on Saturday against No. 3 LSU. And it also means that some bettors went home a little out of luck. After the game, it will be time to head back home, minus the long plane ride. And the fans are expected to keep on coming to Borgata and Atlantic City from now until the National Championship Game on Monday, April 8.